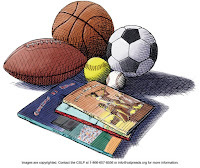 Today is the LAST DAY to Sign-up for Summer Reading! TODAY, Sunday July 31st is the LAST day to sign up for the summer reading program! So if your children have not signed up yet, come stop by the library TODAY! The library is open today 12-6pm. Books that they have read or have been read to since June 1st can be counted on reading records too! Once reading goals are met, reading records can be turned in from now through August 31st to claim prizes plus a choice of a book to keep! Join us in the Library Puett Room for our Next Thinker Tinker Lab with "Motion Commotion"
Monday August 1st, 2-4 p.m.
What exactly is motion? Have you ever wondered why the apple falls from a tree? 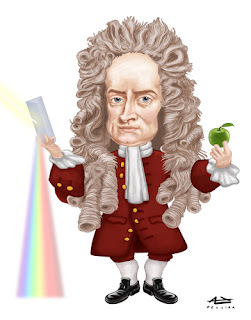 Well, English physicist and mathematician Isaac Newton who is credited as one of the great minds of the 17th century's Scientific Revolution did and the Three Laws (or Rules) of Motion were born! Even when we are at rest we are still moving. Instinctively we move quickly or slowly depending on our environment. As the planet Earth is moving, you are growing and changing every day even when everyday motion is not easily observed. Come in and play games, investigate and problem solve with family and friends, then you too can learn the Three Laws of Motion! All supplies you need will be provided. All ages are welcome to attend. Registration for the Kids Book Club (for grades 1-3) and Super Readers (for grades 4-6) begins on Monday August 1, 2016. You can choose either a fall or spring semester to attend. The maximum number of participants for each semester is 20. Please stop by the children's desk or call to register at 503-718-2656. A big thanks goes out to the Friends of the Tigard Public Library for their generous support for sponsoring our book clubs! There are endless possibilities for making and decorating with beads! 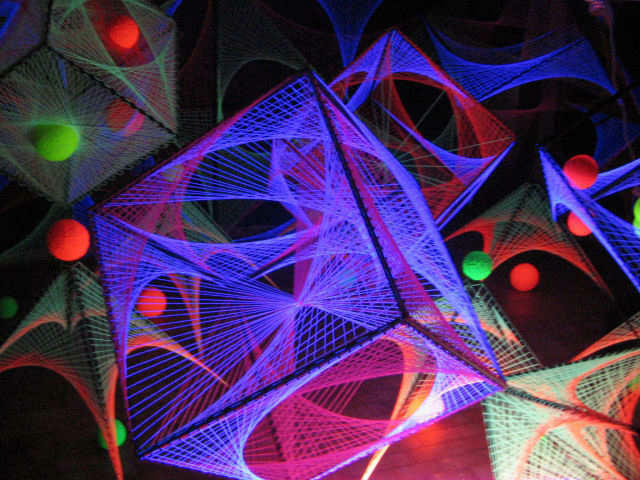 Unleash your creative flare and join is in the Puett Room Sunday, July 31 from 1:30-2:30 pm. Even if you've never beaded before you'll have fun designing your own jewelry and crafts. All ages welcome just bring your inspiration and creativity! 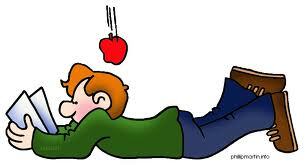 Sunday July 31st is the LAST day to sign up for the summer reading program! So if your children have not signed up yet, you have just a few more days to do so! Books that they have read or have been read to them since June 1st can be counted on reading records! Once reading goals are met, reading records can be turned in July 15-August 31st to claim prizes plus a choice of a book to keep! Thinker Tinker Lab- Bubble Mania! Come experiment with bubbles! 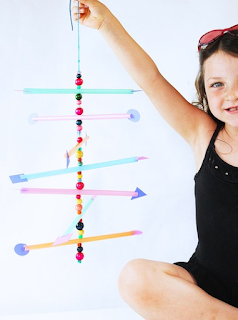 Blow the tallest bubble tower, try out different bubble wand shapes and sizes, and try your hand at making a square bubble! Play for a minute or the whole 2 hours! The choice is yours! Come rock out with the FIRST Americans to win a Latin Grammy for a children's album! 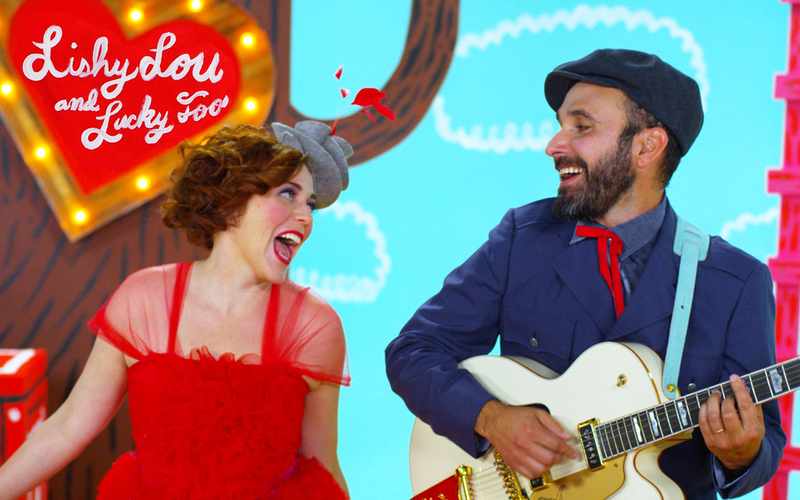 With smash hits like "Thingamajig," Lucky Diaz and the Family Jam Band, a bilingual duo will show you why they've been named PEOPLE Magazine's #1 in Coolest Kids Music! Join the fun on Tuesday July 26th at 6:30 p.m. in the Burgess Community Room. The show is open to all ages too! 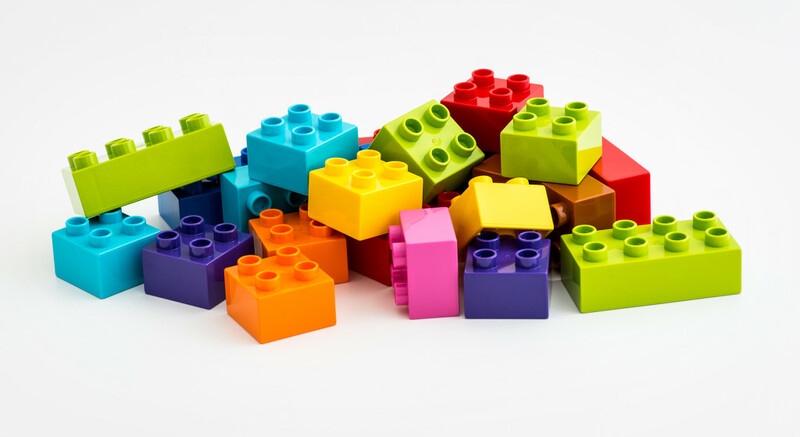 Drop in to work on making your own LEGO® creations with other builders. We'll supply all the building blocks; you bring the creativity! Come and play for a few minutes or play for the whole 90 minutes. The choice is yours! Calling all jump roping enthusiasts in Kindergarten through fifth grade!!! You are invited to join a local jump roping enthusiast and instructor, Shaylene Haswarey, who will teach you even more jump rope tricks, how to play games, and learn a fun dance. Every one who REGISTERS will receive a jump rope to use during the workshop and take home to keep. Please call the Children's desk at 503-718-2656 to register for a 2-3 p.m. time slot or at 3:30-4:30 p.m. time slot on Tuesday July 19th. The event will take place in the Burgess Community Room. Do you know what was knighthood was like in the Middle Ages? The armored Knights of Veritas will demonstrate ancient fighting techniques with authentically weighted detailed swords. 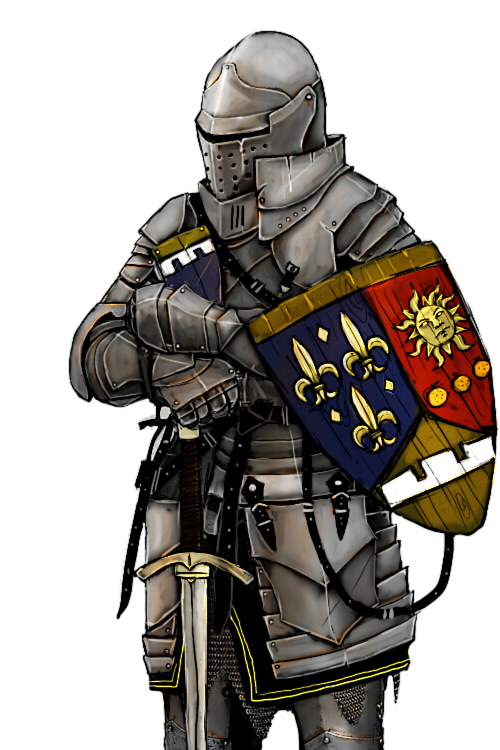 The Knights of Veritas is a non-profit organization specializing in interactive educational demonstrations of medieval arms, armor, combat, knighthood and chivalry. Please come visit the knights live demonstration on Saturday July 16th at 4 p.m. in the Burgess Community Room. The show is open for ages 5 and up! Attention: Families who cannot make it to story times during the weekdays, can join us on the weekend instead! This summer we will offer two weekend story times on Saturdays, July 16 and August 20 from 10:30 to 11:30. We're going to start out by making animal masks, and then weather permitting, take our stories outside! Get ready to run, jump and play with stories and songs. We will head outside promptly at 10:45, so if you want a chance to make your mask, be sure to be punctual. We'll start out in the Puett Room. Egyptian mathematician Dr. Caleb Gattegno inventor of the geoboard believed education should be process of enhancing knowledge through problem based learning. Exploring mathematical concepts and puzzles with geoboards is a fun way to develop understanding of the mathematical tapestry of geometric shapes and how art and geometry go hand in hand. Playing with geoboards enhances fine motor skills, visual co-ordination and depth perception. Participants seamlessly gain understanding of shapes, rotation, similarity, counting, angles, patterns, perimeters and just plain all kinds of hands on fun! 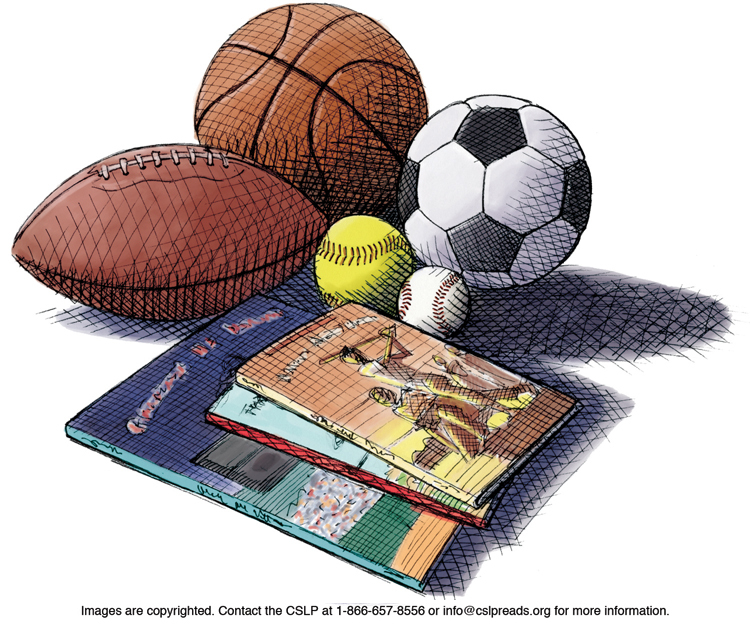 Claim Your Summer Reading Prizes Starting July 15! This summer you can feed your mind and your body! Come visit the Burgess Community Room on Wednesday July 13th at 2-4 p.m. for some amazing food adventures! Nutritionists from Oregon State University's Washington County Extension Office will bring their Food Hero program to the library where you can learn how food travels through your digestive system, taste a food sample, and discover new recipes! Learn and explore healthy food choices at fun, interactive stations. We'll even get the play food out too! Join us on Tuesday July 12th at 6:30 p.m. in the Burgess Community Room for Teatro Calamari! 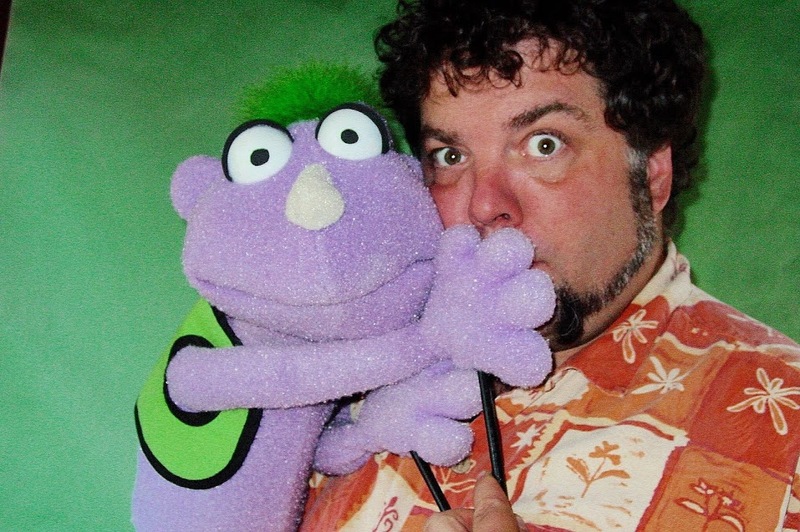 All ages are welcome to attend this puppet show where Tim and his puppet pal, Plumkin retell the story of the Three Pigs, with help from the audience. What kind of house will Pig Number One live in during this show? Explore force and motion through play! Swing a wrecking (beach) ball to knock down a box tower, create an out of this world painting with a funnel on a string, try your hand at making figure 8's with colorful sand, or make your own mini pendulum wrecking ball that you can tinker with until it's just right. It's science...it's engineering...it's art...it's PENDULUMS! 3...2...1 blast off! 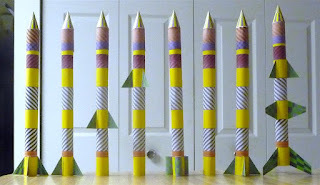 Design and construct your own paper rocket, then see how high you can blast it! We'll provide the stomp rocket apparatus. You provide the power of your own two feet. 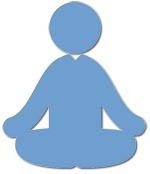 If you missed the first session of Imagination Yoga, you can still register for the next! Take a journey through a summer night with yoga teacher Carrie Young. Carrie has a special certification in Imagination Yoga. The class will be held Saturday, July 9 at 1:30-2:15 and again 2:30-3:15. Choose which time you want to sign up for and call 503-718-2656 to register. Bring your own mat or towel. The City of Tigard is now smoke-free on all city owned properties, parks, and trails. On February 25, 2016, all city parks and trails became smoke-free. Effective July 1, 2016, all city owned properties will be smoke-free. This also means smoking will no longer be allowed on library property. The new city-wide smoking ban is now part of the city ordinance and contributes to the city's strategic plan on promoting health and wellness. 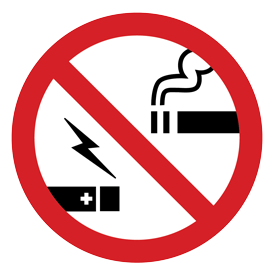 There are many benefits to having a smoke-free property including a healthy and safe environment for Tigard residents and visitors, especially children and youth. This new ordinance calls for a fine up to $100 for first-time offenses and no more than $500 for future violations.To read more on this new city ordinance, please visit the city's website on No Smoking/No Vaping.